The British critic Lawrence Alloway (1926–1990) generated a new vocabulary for American art of the 1960s and 1970s. This paper discussed his use of such terms as ‘system’, ‘network’ and ‘art world’, which remain in the lexicon of contemporary art. In 1950 Newman led his peers in a campaign to denounce the Metropolitan Museum for not recognising abstract art.3 The open letter appeared on the front page of the New York Times on 22 May and was followed by the now legendary photograph of the signatories, dubbed the ‘Irascible Eighteen’, in Life magazine. They were forever linked through the Life image as the first generation of abstract expressionists.4 Irrespective of his position at the time, but perhaps hinting at how his legacy would evolve, Newman was posed centrally in the photograph. He insisted on seeing a great deal of architecture and requested introductions to Mies Van Der Rohe and Frank Lloyd Wright. He wanted to meet with two academics, the sociologist David Riesman and the rhetorician Kenneth Burke. Not surprisingly, Alloway called meetings with associates from his professional life as a critic, including his editor at ArtNews, Thomas Hess, and several art dealers. Artists were also of central concern for him. Gene Davis, Hans Hofmann, Franz Kline, Willem de Kooning, Mark Rothko, Clyfford Still and others were marked on his itinerary by an asterisk as those with whom he requested an introduction. On his Chicago list Riesman, the artist Leon Golub and the dealer Allan Frumkin had double asterisks placed by their names, indicating that Alloway not only wanted to meet them but also that they would serve as local sponsors for him. While in New York, Alloway learned of Newman’s Bennington College retrospective from Greenberg, who had written for the exhibition catalogue. He then redirected his schedule to travel to Vermont to see the show with Newman’s dealer, Betty Parsons. Alloway returned to the States in 1960 as a guest of Betty Parsons, who had invited him to stay with her to research and write An American Gallery, a monograph on her gallery and its relationship to post-war American art.21 By 1961, Alloway had relocated to the States to take a teaching job at Bennington College in Vermont.22 From there, he moved back to New York to become a curator at the Guggenheim, under the direction of Thomas Messer, whom he had met in 1958. In 1964, Alloway and Newman finalised a plan for an exhibition that became The Stations of the Cross: Lema Sabachthani. He had already situated Newman through the idea of systemic painting, declaring the paintings from 1958 ‘a saddle-point between art predicated on expression and art as an object’.23 By 1966 The Stations of the Cross was realised and Alloway was a known figure in New York as a curator, critic and teacher, and was asked to make local and national appearances to talk about art. In the avalanche of press coverage that followed Alloway’s resignation from the Guggenheim in 1966 is an interview he gave in June that year to the critic Grace Glueck at the New York Times that reveals his prickly nature.24 In it he scolded New York museums for not showing enough recent art, called his own work (writing and curating) ‘short-term art history’ and gossiped about the Guggenheim’s inner workings, revealing that the Museum of Modern Art and the Guggenheim had been in aggressive competition for an exhibition of work by Robert Motherwell.25 Although Motherwell was his friend, Alloway was willing to reveal personal information about him in order to revel in the Guggenheim’s loss of Motherwell to MoMA. The story of Alloway’s introduction to New York and its art, as it has been outlined here, provides a more general template for the ways in which an artist (in this case Newman), who was connected to a curator (Alloway) working in a museum (the Guggenheim), and who was financially tied to a series of individuals, had artworks circulating in the print media and in public exhibitions, and whose career rested on precariously intermingled professional and personal relationships. This is a template that could fit around any number of American artists active in New York from the late 1940s onwards. That I chose Newman to illustrate this model is incidental, save for the fact that Newman’s relationship to Alloway directly shaped it, for this is Alloway’s own template for the network of art and artists known as the ‘art world’.26 The artist turned magazine art director Alexander Liberman’s photograph of friends in his home – who were also clients, business associates and rivals – illustrates this network very clearly (fig.3). To read Alloway is to become immersed in a vocabulary shaped by the conditions of the twentieth century. Despite the reference to Keywords, it is not my intention to position Alloway as a Williams devotee. Rather, I am interested in the way that Alloway’s idea of the ‘communications network’ (later known simply as ‘network’), as a definition for art at a specific time that in turn identified a system (the art world), had the same goal as Williams’s re-purposing of ‘society’ into the more comprehensive term ‘culture’. That Alloway’s understanding of the term ‘network’ predated its widespread use as a description of the electronic age, and that it has since become a metaphor for all forms of interconnectivity, is all the more valuable. If Williams looked to history to situate culture, Alloway’s diagnosis of the network was ahead of its time. While Alloway may not have been rehashing Williams, he was invested in the methods of sociology from which cultural studies grew in Britain. If we return to his first trip to America in 1958, and the requests for introductions that he made to the State Department, two stand out in a schedule otherwise dominated by art and architecture: David Riesman, the sociologist who was then at the University of Chicago, and Kenneth Burke, a rhetorician who was visiting the University of California at Berkeley. These two meetings are important because they indicate where to situate Alloway’s use of sociological concepts, and the ways in which these two individuals represent specifically American approaches to cultural analysis. The culture of American art was, I would argue, what Alloway was focused on from a very early stage in his writing and curatorial practice. It is not just that Alloway was interested in American art, media and popular culture. He was invested in the art culture of America as it was being shaped in the middle of the twentieth century, and after 1962, when he emerged as one of the architects of that art culture. In his book, The Lonely Crowd: A Study of the Changing American Character (1950), Riesman argued that America had three character types, but only one, the ‘other-directed’, was malleable enough to fit the new social roles necessitated by the modern world.40 The other-directed defined the middle class in industrialised America. In its ability to ignore tradition (be it familial or societal) in order to reap the benefits of the material abundance that modern society afforded, the American middle class was a flexible ‘peer-group’: it proved its usefulness in a corporate work system that rewarded it with more access to affluence. Before Alloway’s proposed visit to Kenneth Burke in Berkeley, he saw buildings designed by the modernist architect Richard Neutra and visited Hollywood in Los Angeles, both products of the flexible-affluent America that Riesman described. Alloway had read Burke and was familiar with Burke’s statement on human motive, ‘dramatism’.47 In its most basic form, dramatism sought to identify human motivation. Core questions – what is happening, where is the act happening, who is involved in the action, how do the agents act, why do the agents act – were attached to five, one-word concepts: Act, Scene, Agent, Agency and Purpose.48 Used by actors to develop character skills, Burke’s five questions were taken up by theorists for application to any situation. What Riesman and Burke seem to offer Alloway’s criticism is an approach to art in America as a system that needed to be seen inside its specific national conditions. In numerous interviews and recorded conversations in the 1950s, Alloway described his excitement about the art being made in America. While his feeling was not unique at the time, his expression that ‘new art is supposed to presage a new set of social values’ implied that he envisioned a social system taking shape around the art and its industry.49 When viewed from this perspective, his first trip to the States in 1958 appears like the investigation of a Burkian dramatism. With each meeting and in every new city, Alloway seemed to be asking: What is American Art? Where is it being made? Who is making it? Who else is involved? And what does everyone get out of it? The meetings with Riesman and Burke are significant, if only as a register of his interest in formulating a specific plan for America art. What this also suggests, however, is that by at least the spring of 1958 Alloway was looking for the thing that he would name in 1972: the art world. This expansion of the earlier network idea found in ‘Art and the Communications Network’ was re-presented as a fresh argument about the art world as a quantifiable entity of the 1960s. If the network described the present, ‘art world’ reshaped the history of the 1960s from the vantage point of the early 1970s. Alloway did not place the art world in New York because there was no need to. All of his references to artists, curators, exhibitions, institutions and magazines in the essay were specific to New York. Just as it was clear that the origins of the ‘fine-art-pop-art continuum’ rested on his understanding of a particular time and spirit in London (complete with a reliance on Williams’s concepts of culture and communication), the ‘art world’ is not only a metaphor for New York but also a synonym of it, expanding the idea of New York’s control over all American art to encompass its dominance of an international art market.51 To be engaged in the art world during that decade would have necessitated a relationship with New York in some form. Without New York, Alloway implied, there would be no art world. This idea feels very much like the Newman-Alloway story where Alloway fields a system with Newman’s objects while making a central place for himself within that system (New York, the Guggenheim, the Cedar Bar etc.). By the time that ‘Network: The Art World Described as a System’ was published, Alloway was a leading figure in the art world. This may explain the change in tone from ‘Art and the Communications Network’, where the network was a more benign apparatus in service to the object. This article was written and published just before Alloway’s disagreement with the director of the Guggenheim, Thomas Messer, over the Venice Biennale that would end with Alloway’s resignation.52 Written later, ‘Network: The Art World Described as a System’ revealed Alloway as a seasoned citizen of the art world, one who saw it as a power structure on its last legs. The diaristic criticism that defined his writing from this point onwards affords pointed remarks about artists and names collectors who ‘pay high prices for new art, subject to elaborately negotiated discount’.53 He blamed collectors like John Powers, an early supporter of Newman, for attaching ‘the principle of conspicuous consumption’ to art.54 After announcing a crisis in art history that was both economic and methodological, he declared a shift in artists’ confidence and self-perception in the search for justice, be it the Art Workers Coalition or the protests against the Vietnam War. He concluded with the idea that ‘post-studio, site-based, and conceptual art forms’ were signs of stress that marked the 1960s turning into the 1970s. 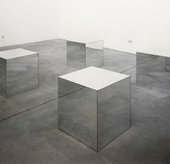 The art world was a 1960s thing that met its end with the downturn in the consumer market, the desire for artists to make objects that responded to a different set of circumstances, museums’ inability to reconceive themselves in relation to new art, and a general discontent with the gallery system. Both nostalgic and forward looking, Alloway called for artists in the 1970s to ‘make a real difference’. While all of these examples treat the concept seriously, ‘art world’ is most often employed casually now to discuss the proliferation of art fairs, to differentiate between the serious and the frivolous pursuits of art, or to define some aspect of art lacking a sufficient definition. In its most flippant, parochial guise, the art world is what happens on many Thursday nights in Chelsea in New York. How did this term that had such historic and geographic specificity for Alloway, end up as the catchall gloss for the industry of contemporary art? How did it become negative and general, when it was intended as a specific critical analysis? Moreover, how did its meaning come to encompass everything and nothing at all about art? This was a serious charge in the wake of such art as Andy Warhol’s Brillo boxes, and it required a suspension of disbelief to enter into the art world to believe in the art object itself. Like Danto, Alloway used art world to define a spacio-temporal shift in objects and object-making. Unlike Alloway, however, Danto was less concerned with what that shift signified. That it signified was its purpose because there was no moratorium on Danto’s ‘artworld’. As Williams pointed out, words can morph in their time to have meanings at odds with other meanings. Our charge may be to take up their history and present use in Alloway scholarship, for which there has been very little until now. This process may open up discussions with real depth about the consequences of his writing. To see Alloway in Williams’s keyword model becomes one moment in a longer social and cultural history of the language of art. 1. Lawrence Alloway, Barnett Newman, The Stations of the Cross: Lema Sabachthani, exhibition catalogue, Solomon R. Guggenheim Museum, New York 1966. The exhibition was on view from April to May 1966. 2. Melissa Ho, ‘Chronology’, in Ann Temkin (ed. ), Barnett Newman, exhibition catalogue, Philadelphia Museum of Art 2002, p.324. 3. ‘18 Painters Boycott Metropolitan; Charge “Hostility to Advanced Art”’, New York Times, 22 May 1950. 4. ‘Irascible Group of Advanced Artists Led Fight against Show’, Life, 15 January 1951, p.34. 5. For a discussion of Newman’s painting and the sublime, see Paul Crowther, ‘Barnett Newman and the Sublime’, Oxford Art Journal, vol.7, no.2, 1984, pp.52–9, and Robert Rosenblum, ‘The Abstract Sublime’, Art News, February 1961, pp.38–41, 56–7. 6. Lawrence Alloway, ‘Color, Culture, the Stations: Notes on the Barnett Newman Memorial Exhibition’, Artforum, vol.10, no. 4, December 1971, p.39. 7. Donald Judd, ‘Barnett Newman’, Studio International, vol.179, no.919, 1970, reprinted in Donald Judd: The Complete Writings 1959–1975, Halifax 1975, p.200. 8. Lawrence Alloway, ‘Field Notes: An Interview’, in Abstract Expressionism: The Critical Developments, exhibition catalogue, Albright-Knox Art Gallery, Buffalo 1987, p.17. 9. Itinerary for Lawrence Alloway, 14 April–13 June 1958, Committee on Leaders and Specialists, American Council on Education. Lawrence Alloway papers 1935–2003, Getty Research Institute, Los Angeles. 10. In several letters sent from the States to Sylvia Sleigh, his wife in London, Alloway wrote about negotiating loan agreements with the Barnes Foundation in Philadelphia and the Museum of Modern Art in New York, among others. Lawrence Alloway papers 1935–2003, Getty Research Institute, Los Angeles. 11. Lawrence Alloway, letter to Sylvia Sleigh, 8 May 1958, Lawrence Alloway papers 1935–2003, Getty Research Institute, Los Angeles. 12. Lawrence Alloway, letter to Sylvia Sleigh, 1 May 1958 (postmarked), Lawrence Alloway papers 1935–2003, Getty Research Institute, Los Angeles. It is likely that Alloway met Irving Sandler at ‘The Club’ during Sandler’s tenure as committee leader for its Friday programmes. See Irving Sandler, ‘The Club’, Artforum, vol.4, September 1965, p.29. 13. Reyner Banham, ‘Alloway and After’, Architects Journal, 26 December 1957, pp.941–3. 14. Correspondence throughout Alloway’s 1958 stay in New York documents numerous interactions with Greenberg and a growing personal relationship, despite Alloway’s later disavowal of Greenbergian formalism. Lawrence Alloway papers 1935–2003, Getty Research Institute, Los Angeles. 15. Lawrence Alloway, letter to Sylvia Sleigh, 5 May 1958, Lawrence Alloway papers 1935–2003, Getty Research Institute, Los Angeles. The Magda that Alloway mentioned is Magda Cordell (1921–2008), an artist and founding member of the Independent Group who, along with her second husband John McHale, was close to both Alloway and Sleigh. 17. Lawrence Alloway, letter to Sylvia Sleigh, 10 May 1958, Lawrence Alloway papers 1935–2003, Getty Research Institute, Los Angeles. 18. See Roger Coleman, ‘Situation’, in Situation, exhibition catalogue, Royal Society of British Artists, London 1960, reprinted in David Mellor, The Sixties Art Scene in London, exhibition catalogue, Barbican Art Gallery, London 1993, p.90. After returning to London, Alloway engaged in several public conversations on American art. At least one, a BBC broadcast on Jackson Pollock on 17 November 1960, was aimed at a general public audience. ‘Lawrence Alloway BBC transcript’, Betty Parsons Gallery records and personal papers, Archives of American Art, Smithsonian Institution, Washington DC. 19. Irving Sandler, at Lawrence Alloway, Visual Culture and Contemporary Practice, a discussion organised by Shelley Rice and Reva Wolf for the College Art Association Meeting, 10 February 2011, New York City. 20. Lawrence Alloway, ‘The New American Painting’, Art International, vol.3, nos.3–4, 1959, p.21. The exhibition was on view at the Tate Gallery, London, 24 February–22 March 1959. 21. In 1960, Parsons invited Alloway to write a book on her gallery based on his ‘understanding and enthusiasm for the contemporary American scene’. The book was to be published by Grove Press. See Betty Parsons, letter to Lawrence Alloway, 27 January 1960, Betty Parsons Gallery records and personal papers, Archives of American Art, Smithsonian Institution, Washington D.C. Owing to a series of missed deadlines, difficult research conditions and the loss of Grove’s interest, the book was never published. 22. Alloway was fired from the ICA in the early autumn of 1960. See Lawrence Alloway, letter to Betty Parsons, 22 November 1960, Betty Parsons Gallery records and personal papers, Archives of American Art, Smithsonian Institution, Washington D.C.
23. Lawrence Alloway, Systemic Painting, exhibition catalogue, Solomon R. Guggenheim Museum, New York 1966, p.18. 24. Grace Glueck, ‘Not Exactly Trying to Please’, New York Times, 19 June 1966, p.108. 26. Throughout this essay, the term ‘art world’ morphs from one word to two and from common noun to proper noun. These grammatical differences acknowledge the variances employed by different writers. Alloway used the concept ‘art world’ as a two-word singular term. While Danto’s term ‘artworld’, a single word, was a proper noun. Following the Oxford English Dictionary, the sociologist Howard Becker uses the term as a two-word common noun, though he cited both singular and plural (‘art worlds’) definitions. See Note 57. 27. Lawrence Alloway, ‘Art and the Communications Network’, Canadian Art, no.100, January 1966, p.35. 30. In an interview conducted in 1972, Aldrich claimed responsibility for contacting Life magazine and the New York Herald Tribune. Both ran features on the dresses during the run of The Responsive Eye that prominently showcased his dual role as a collector and manufacturer. Though the experience was ultimately ‘embarrassing’ for him, Aldrich declared that he had not intended for the dresses ‘to be copies of these paintings’, just ‘inspired by’ them. Larry Aldrich, interview with Paul Cummings, 25 April–10 June 1972, Archives of American Art, Smithsonian Institution, Washington D.C. See also Eugenia Sheppard, ‘Inside Fashion: At a Loss for Words’, New York Herald Tribune, 5 March 1965, and ‘It’s OP from Toe to Top’, Life, 16 April 1965, pp.52–4. 31. Brian de Palma (dir. ), The Responsive Eye (1966). 32. Alloway, ‘Art and the Communications Network’, p.36. 36. Ibid., p.35. On the surface, Systemic Painting was curatorially close to The Responsive Eye and Primary Structures. All, for example, were interested in branding a movement of artists around single media or a medium, in the case of the former. However, Alloway was the only curator of the three to limit the international artists in his show. This is notable given that the other two had significant representation from British artists, a fact heralded by the media in the wake of the hip ethos of the ‘British Invasion’. Alloway’s exhibition, save for Tadaaki Kuwayama from Japan (then resident in New York) and the naturalised Canadian, Agnes Martin, was totally American, a curiosity for the British Alloway who could have used some of his connections in London to advance the scope of the exhibition and the Guggenheim, despite his avowed interest in New York school artists. 38. Raymond Williams, Culture and Society: 1780–1950, New York 1958, p.300–3. 39. Raymond Williams, Keywords: A Vocabulary of Culture and Society, New York 1976. 40. David Riesman, with Reuel Denney and Nathan Glazer, The Lonely Crowd: A Study of the Changing American Character, New Haven 1950. 42. Alloway did not cite Riesman when using the term in the introduction to This is Tomorrow, exhibition catalogue, Whitechapel Gallery, London 1956, unpaginated. For Whiteley’s comments on Alloway’s use of ‘antagonistic cooperation’, see Nigel Whiteley, Reyner Banham: Historian of the Immediate Future, Cambridge, Massachusetts 2002, p.90 note 427. 43. The sometimes contentious nature of the IG was noted by group members Alloway and John McHale in later writing, and has been documented by scholars including Anne Massey, Victoria Walsh, Nigel Whiteley and others. See, for example, Alastair Grieve, ‘”This Is Tomorrow”, a Remarkable Exhibition Born from Contention’, Burlington Magazine, vol.136, April 1994, pp.225–32. 44. Lawrence Alloway, ‘The Great Curatorial Dim-out’, Artforum, vol.13, no.9, May 1975, p.32. 45. Lawrence Alloway, ‘Apropos of Jim Dine’, Allen Memorial Art Museum Bulletin, vol.23, no.1, Fall 1965, p.24. 46. Lawrence Alloway, Violent America: The Movies 1946–1964, exhibition catalogue, Museum of Modern Art, New York 1971, p.19; Lawrence Alloway, ‘Art’, The Nation, 21 June 1971, p.797. 47. Kenneth Burke, A Grammar of Motives, New York 1945, pp.xv–xxiii. 49. Lawrence Alloway, ‘Women’s Art in the Seventies’, Art in America, vol.64, no.3, May/June 1976, p.64. 50. Lawrence Alloway, ‘Network: The Art World Described as a System’, Artforum, vol.11, no.1, September 1972, p.28. 51. Lawrence Alloway, ‘The Arts and the Mass Media’, Architectural Design, February 1958, pp.84–5. The article uses the synonyms ‘arts of the mass media’ and ‘mass arts’ before coming to ‘popular arts’. 52. Milton Esterow, ‘Curator Resigns from Guggenheim’, New York Times, 15 June 1966. 53. Alloway, ‘Network: The Art World Described as a System’, p.29. 55. Lynne Cooke, ‘New York, Guggenheim Museum, Robert Morris’, Burlington Magazine, vol.136, April 1994, p.264. 56. Peter Plagens, ‘How Art Has Changed A Lot’, American Art, vol.16, no.1, Spring 2002, p.9. 57. Lucy R. Lippard, ‘Projecting a Feminist Criticism’, Art Journal, vol.35, no.4, Summer 1976, p.339. 58. Howard Becker, Artworlds, Berkeley 1982, p.x. Despite using many of Alloway’s terms to discuss art (after Alloway used them in the 1960s), Becker does not cite Alloway in this text. 59. Hal Foster, The Return of the Real: The Avant-Garde at the End of the Century, Cambridge, MA 1996, p.180. 60. Arthur Danto, ‘The Artworld’, Journal of Philosophy, vol.61, no.19, 15 October 1964, p.580. A version of this paper was presented at the symposium Lawrence Alloway Reconsidered held at Tate Britain on 30 March 2011, which was organised in collaboration with the Getty Research Institute. The GRI also generously supported my research for this paper. Special thanks are owed to the author for coordinating and editing the group of six papers on Lawrence Alloway in Tate Papers no.16. Courtney J. Martin is an Assistant Professor in the History of Art at Vanderbilt University. Courtney J. Martin, ‘Art World, Network and Other Alloway Keywords’, in Tate Papers, no.16, Autumn 2011, https://www.tate.org.uk/research/publications/tate-papers/16/art-world-network-and-other-alloway-keywords, accessed 19 April 2019. Tate 08 Series: Kenneth Noland: The Stripe Paintings: Press related to past exhibition.